We hold instructions to present all cash offers prior to Auction at any price where you see value, so don't be shy! The property boasts two levels of living space with four separate internal living areas and an expansive covered alfresco entertaining area with built in outdoor BBQ overlooking the tiled swimming pool plus a large balcony offering skyline views. 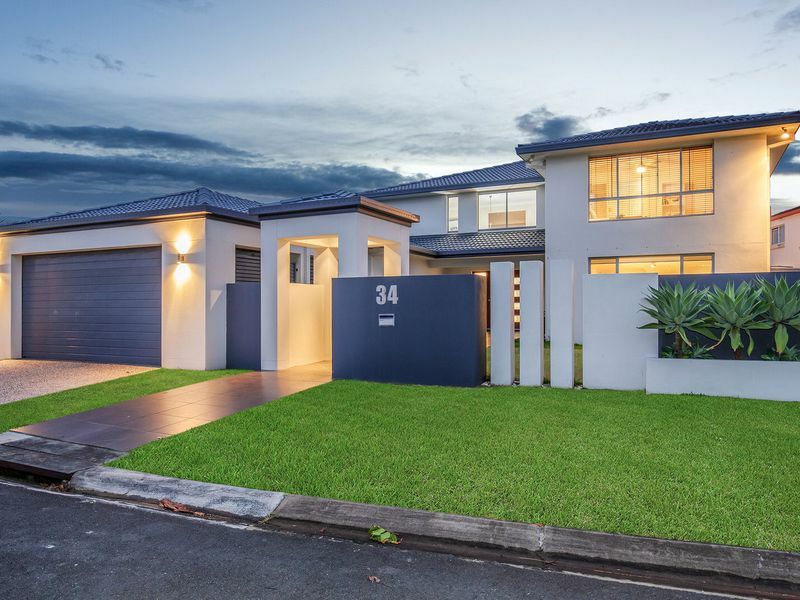 Thinking of living in benowa waters? Are you considering investing in benowa waters? The price of a property that falls in the middle of a total number of s sold over a period of time, based on listings over the preceding 12 months. © 2019 Copyright RP Data Pty Ltd trading as CoreLogic (CoreLogic), Local, State, and Commonwealth Governments. All rights reserved. No reproduction, publication, adaption, modification, public communication, distribution or transmission of the copyrighted materials in this publication is permitted whether in whole or in part. The copyrighted materials in this publication are provided for personal or internal business purposes only unless otherwise agreed in writing. The information provided in this publication is current as at the publication date only. CoreLogic does not warrant accuracy or completeness in the information it supplies and to the full extent allowed by law excludes any liability for any loss or damage arising from or in connection with the supply or use of the whole or any part of the information in this publication through any cause whatsoever and limits any liability it may have to the amount paid to CoreLogic for the supply of such information. Based on or contains data provided by the State of Queensland (Department of Natural Resources and Mines) 2014. In consideration of the State permitting use of this data you acknowledge and agree that the State gives no warranty in relation to the data (including accuracy, reliability, completeness, currency or suitability) and accepts no liability (including without limitation, liability in negligence) for any loss, damage or costs (including consequential damage) relating to any use of the data. Data must not be used for direct marketing or be used in breach of the privacy laws. Get a better idea of the value of this property.